Funnily enough this all started because I decided to sell my old monitors to ascend to ultrawide and before I knew it, I've finished accumulating all the components in a little bit less than a month (luckily due to various sales/Prime Day/etc). This is my 2nd build with my 1st being a budget Mini-ITX machine with i5 6500 & a GTX 1060. After finishing it, I realized that bigger is indeed better since I had so much struggle as a first timer fitting everything in such a small footprint. I realized that it was fine for me sacrifice some performance for RGB/lighting to fit the aesthetic that I was going for with the monitor. So all said and done, this is definitely a fitting upgrade to my previous build. I will mostly be gaming with splash of Lightroom/Photoshop here and there, as I also take photos as a hobby/enthusiast. CPU: Originally I was going with a Ryzen 7 2700 due to the sweet Prime Day deal, however, mine arrived damaged and as a result I changed the CPU to a Ryzen 5 2600x due to better single core performance and I didn't see any need for the extra cores/threads. Mobo: Luckily I happen to live close to a Micro Center to take advantage of their sweet mobo + CPU deal to grab the ASUS Rog Strix x470-F for cheap and with RGB in mind, all my components were based on performance and whether or not they sync with ASUS Aura. Cooler: Originally was going for a water cooled build, but upon realizing that my GPU was way too long, I went with an air cooled build instead. Memory/Storage: Got both through either Newegg Deals or Amazon Prime days. Originally was going for an SSD/HDD combo but the M.2 prices were too good to not swoop so overall I'm satisfied. GPU: Went for the safe bet of the Vega 64 (despite the horrendous prices) to handle my 1440p 100hz UW monitor at its best and for some future proof (+ ASUS Aura sync is a bonus). There were really no other custom Vega 64 cards that were available at the same time. Case: Amazing. Made building so much easier w/ the thorough booklet + so much airflow while still being aesthetically pleasing. PSU: went with the recommended 750w PSU for the Vega 64 & scored a sweet deal w/ BH Photo. 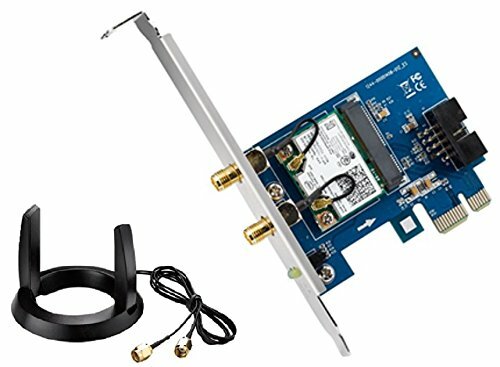 Wifi card: Since my room has no access to ehternet, I went ahead and install a PCIE wireless + BT card and so far it's great. Case Fans: The 2 Corsair fans were great and worked well with my extra fan hub lying around. Also used the included 2 fans that came w/ the case as exhaust fans at the top while grabbed my extra Cooler Master Pro 120 Air Balance as another exhaust fan (+ RGB). Sleeves: Honestly I could've made them look nicer but this was my first time being serious about cable management so I will keep working on it in the future. The white was great though. Chose the shorted version and had no trouble with excess cables. Monitor: Great monitor with super high contrast & Quantum Dot tech is super helpful. I see no difference w/ my previous IPS monitors & Freesync is amazing. Works great out of the box (will try OCing later but so far so good. Super quick and easy to install. Boot windows in less than 10s. Reliable and fast, as expected from Crucial. This + Freesync is amazing and was able to handle everything I threw at it. Had no problem picking up wifi and maintain a stable connection + BT is a great addition. Works great and are super silent. 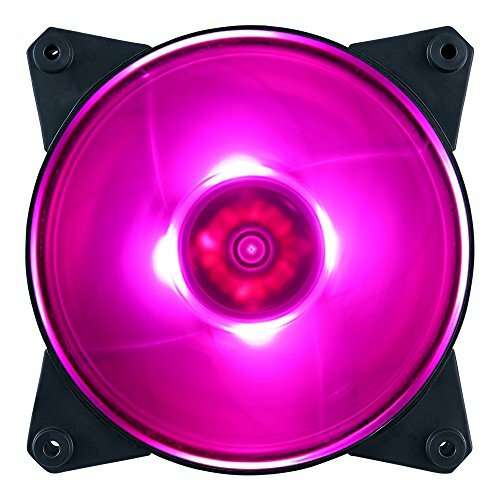 Works great + RGB while still being silent. 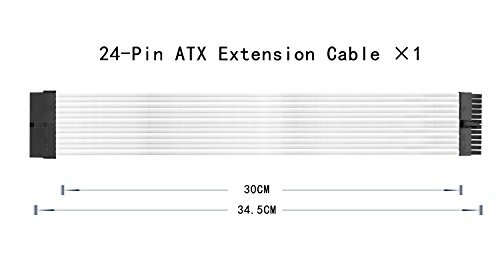 Super nice looking + perfect length to not have unnecessary extra cables in the back of case. Hey man, nice build! AMD for life lol. I had a quick question, how does the Vega Strix preform? I’m thinking of getting one but was wondering if I should look into a 1080 or 2070. Vega runs very hot. You need to undervolt to have good temps. The best AIB vega 64 is the sapphire nitro+ and its very expensive. The 2070 or 1080 is good and power efficient if you don't want to play around with settings to tweak it, but you'll pay more for gsync and freesync will keep costs way down. If undervolted, would the ROG Strix Vega 64 temps be considerably lower and should they last for a long time (5+ years)? 1070 Ti's $482 while Vega 64's at $414 here so I'm really itching to get the best bang for buck. Yes undervolting can prolong your graphics card life by running cooler. We don't know how long vega will last. Thanks dude! I think they perform great. I've recently upgraded to the new LG 144hz UW and I'm still getting good frames from it. But now with the adaptive sync update from nvidia I'm definitely looking to switch to 2080 in the future hopefully. Very nice! 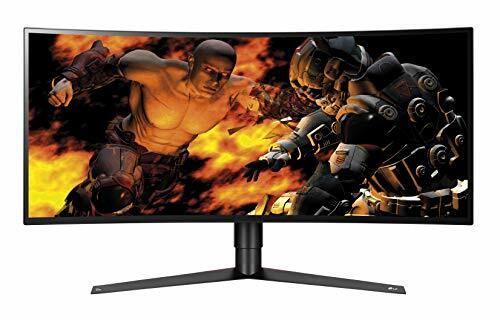 I'm considering trying the switch from dual monitors to an ultrawide. Just trying to talk myself into the price. 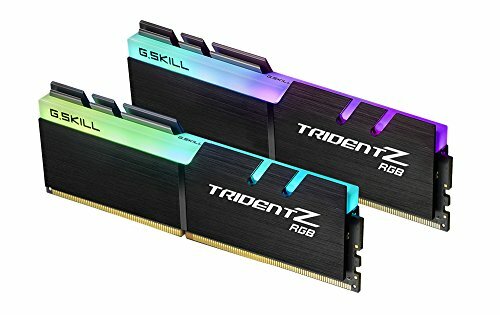 Also about to upgrade from my 7 yr old 2500k to a ryzen. Your build popped up when I searched ultrawide and it looks great! does the cooler have any clearance issues with ram or does it comepletely miss the dimms like the h7? Ah I see. Will change when I have the chance to.